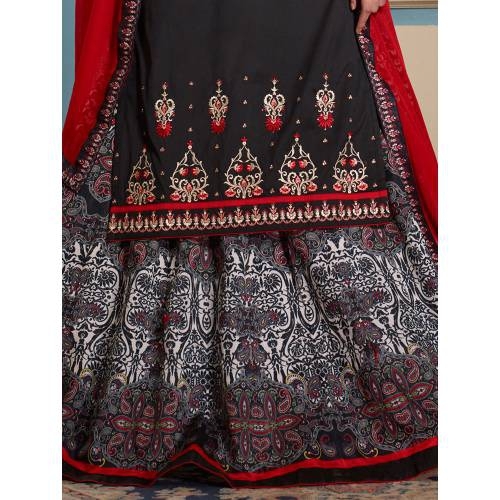 This Black & Multi color Unstitched Top and ready to wear Bottom dress material will give a confident and stylish look to the wearer with its beautiful embroidery work on Top and Digital print on Bottom. This party wear Dress Material paired along with fancy matching earrings and high heels that will give an eye-catchy look to the wearer. The outfit consists of Multi color Banglori Silk Bottom(Stitched)with Chiffon Digital print lace dupatta.